Show the support for your favourite club by designing the 10ft x 5ft football flag which you can hang in your room or at the terrace. 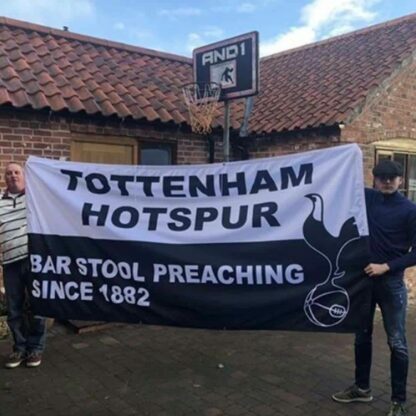 Bring it with you to the pub in your town or when your team plays an away match. You can upload your artwork or design online your new 10ft x 5ft football flag via our Custom Design tool. Absolutely chuffed with my flag! Great service too. Would highly recommend!